Gourmet Desserts are not only delicious and visually appealing but easy to make when using this gourmet method of cooking! 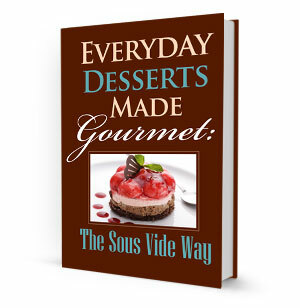 From our kitchens to yours, we bring you the Everyday Desserts Made Gourmet Cookbook. This compilation of recipes, tips, and techniques will show you how to transform desserts into culinary masterpieces - all cooked to perfection every time. Surprise your friends and family with a wide variety of scrumptious desserts that are sure to be a hit!